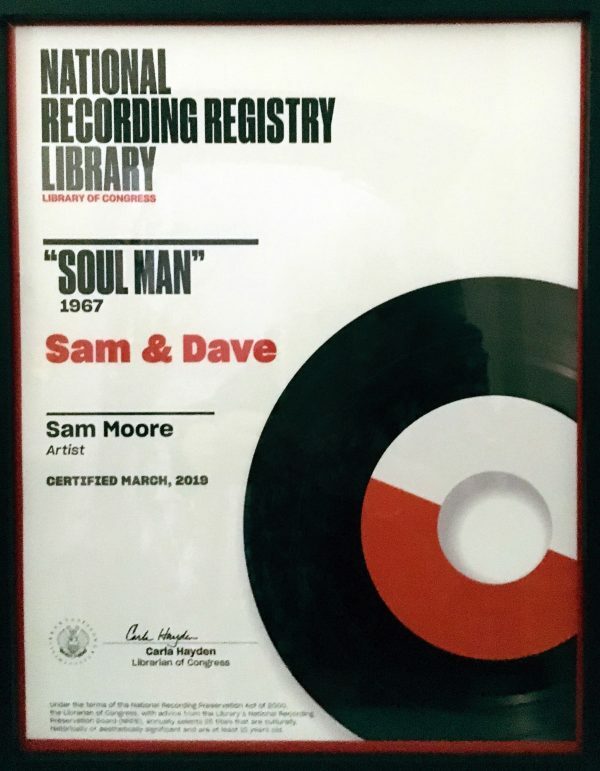 Sam & Dave’s 1967 Hit Single “Soul Man” Inducted Into National Recording Registry of the Library of Congress | 2911 Enterprises, Inc.
WASHINGTON, D.C. – Sam & Dave’s 1967 hit single “Soul Man”; the classic radio western “Gunsmoke”; Ritchie Valens’ groundbreaking 1958 sensation “La Bamba”; the revolutionary 1968 Broadway musical “Hair”; and Neil Diamond’s 1969 “Sweet Caroline,” which became a popular sports anthem, are the newest recordings inducted into the National Recording Registry of the Library of Congress. Librarian of Congress Carla Hayden today named these and 20 other recordings as aural treasures worthy of preservation because of their cultural, historic and aesthetic importance to the nation’s recorded sound heritage. Isaac Hayes, the song’s creator, found the inspiration for the song that’s become an anthem in the turmoil of the civil rights movement of the 1960s. In July 1967, watching a television newscast of the aftermath of the 12th Street riot in Detroit, Michigan, Hayes noted that black residents had marked buildings that had not been destroyed during the riots – mostly African-American owned and operated institutions – with the word “soul”. Relating this occurrence to the biblical story of the Passover, in Hayes’s words, of “a story about one’s struggle to rise above his present conditions. It’s almost a tune kind of like boasting, ‘I’m a soul man.’ It’s a pride thing.” Hayes said, “… the word ‘soul,’ it was a galvanizing kind of thing for African-Americans, and it had an effect of unity, it was said with a lot of pride.” The result was “Soul Man,” a danceable declaration of Black Pride. 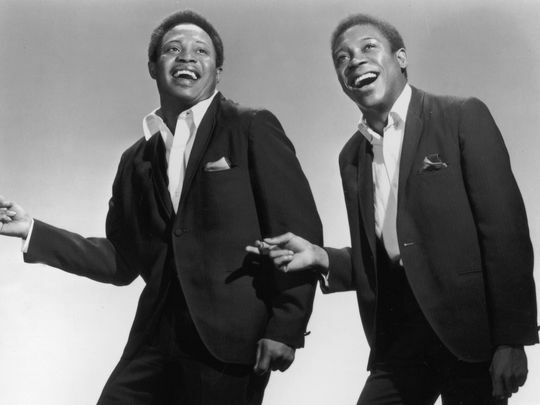 The dynamic vocal duo of Sam & Dave (Sam Moore and David Prater) recorded it with Hayes and Porter producing, backed by Stax Records regulars Booker T. and the M.G.’s and the Mar-Keys’ horns. “Soul Man” is instantly recognizable by its first few notes, with its distinctive horn lines and guitarist Steve Cropper’s trademark sliding sixths. The engine that powers “Soul Man” is Donald “Duck” Dunn’s infectious, ebullient bassline. “I also must say I am so appreciative and grateful to Carla Hayden and the selection committee for believing in Dave and myself and thinking we’re worthy of such recognition,” said Sam. CBS News’ Jim Axelrod sat down recently with Moore to get the full “Soul Man” story, and that interview is set to air tonight at 6:30pm ET / 5:30pm CT (check local listings for details). Sam & Dave were also announced by The Recording Academy™ as one of the recipients of the Special Merit Awards, The Lifetime Achievement Award. A special award presentation ceremony and concert celebrating the honorees will be held on May 11, 2019, in Los Angeles. For the full release of the new National Recording Registry class, visit www.loc.gov/item/prn-19-018/.